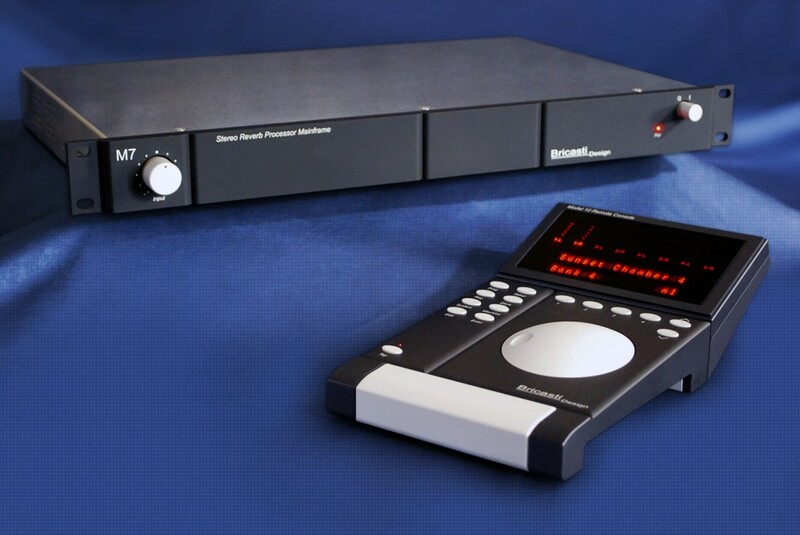 The Bricasti Design Model 7 provides the highest level of musicality and ease of control imaginable in a processor dedicated to the task of reverberation. A modern high resolution digital design, utilizing a stunning array of the latest DSP processors, provides a platform for the long overdue next step in reverb processing algorithms. A separate fully differential analog section and dedicated transformer based linear power supply provide the finest analog specifications of any product of it's kind. An exceptionally strong stainless steel chassis, and a tooled aluminum front panel, combine with a classic high visibility display and straight forward human interface, to complete an enduring design that is intended to fulfill its role, now and into the future. Each design element of the Model 7 is a carefully considered statement of our vision of what the evolution of reverberation processing in its most classic form can be. With a deep appreciation of the best designs which precede it, and a passion for moving the science of reverberation forward, the Model 7 provides a palette of sounds that encompass the familiar as well as new expressions in the art. Listen to the new reference in reverb processing; it will bring new life to your art, in a way unimagined by any process before it.